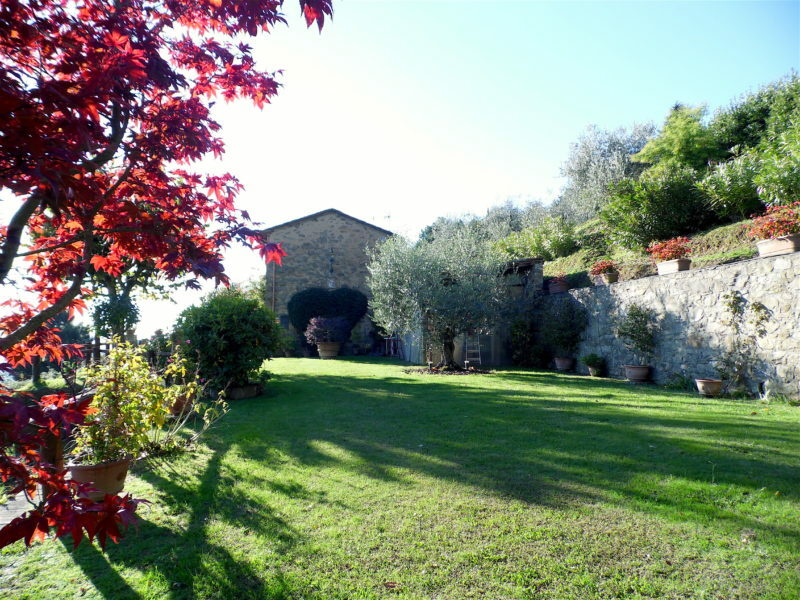 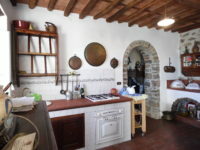 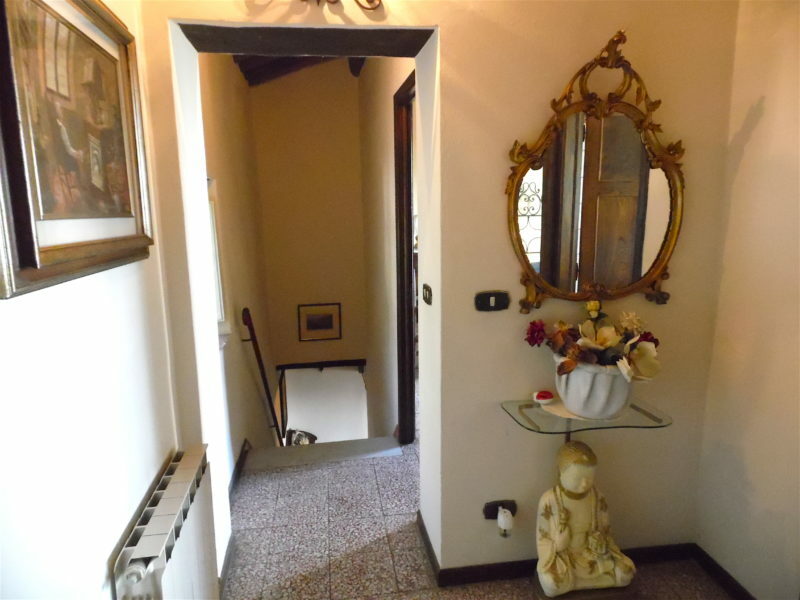 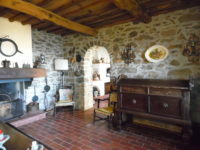 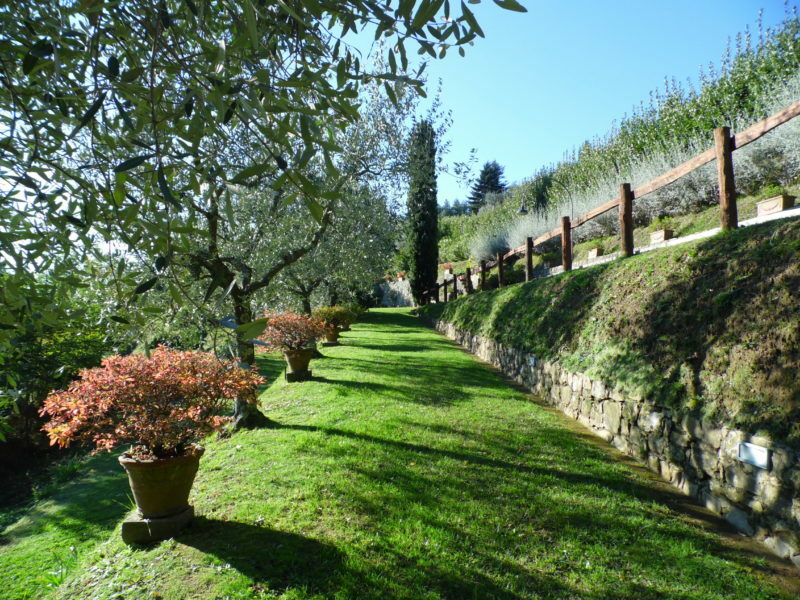 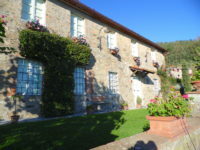 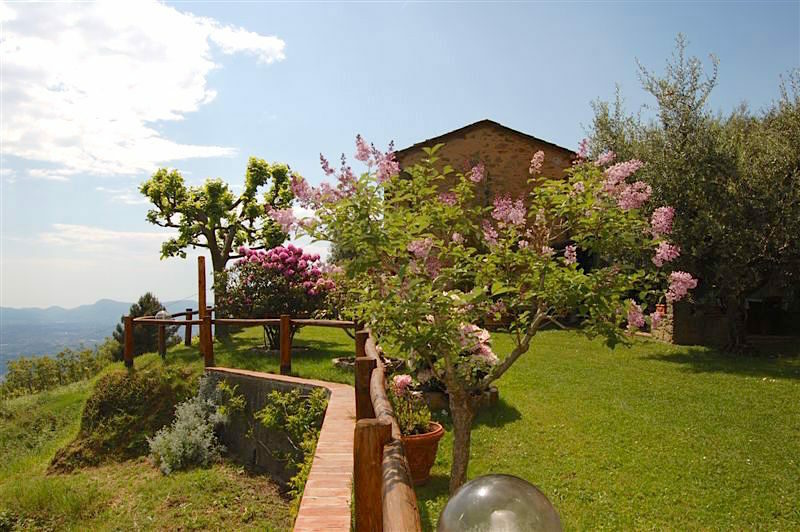 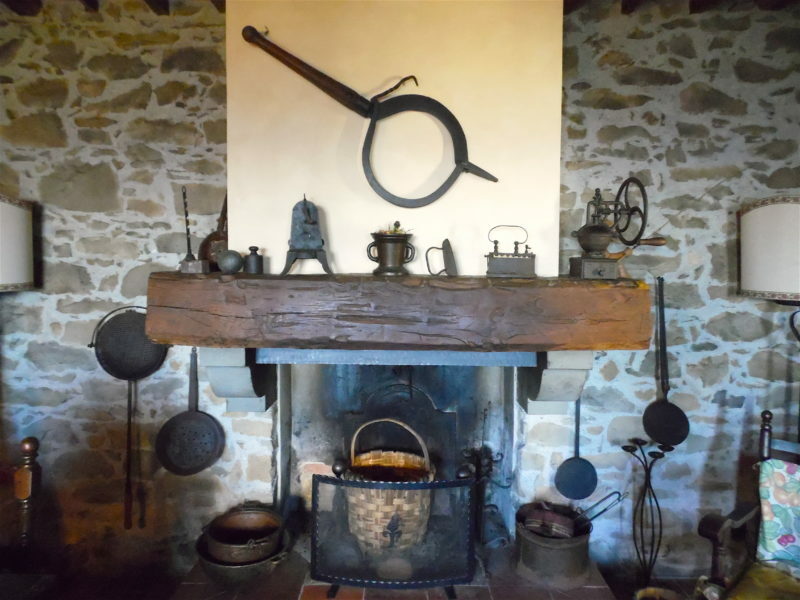 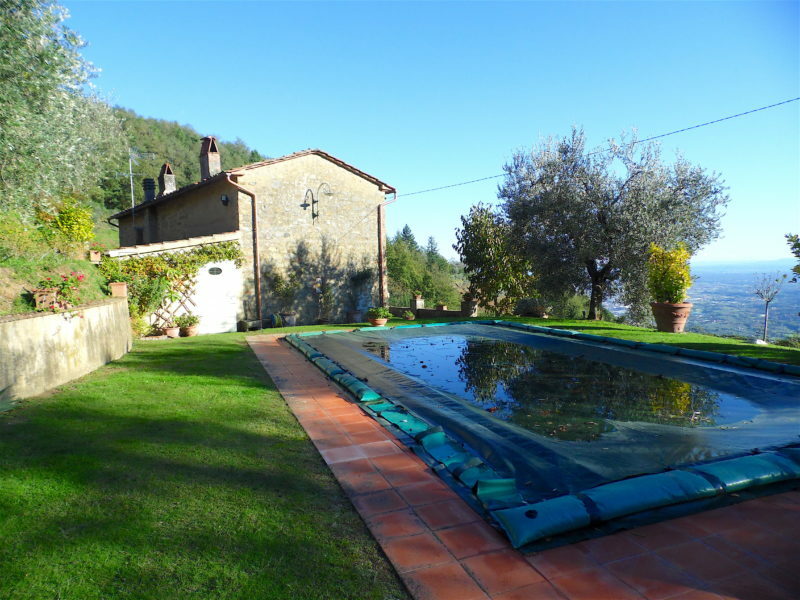 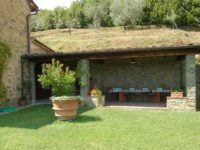 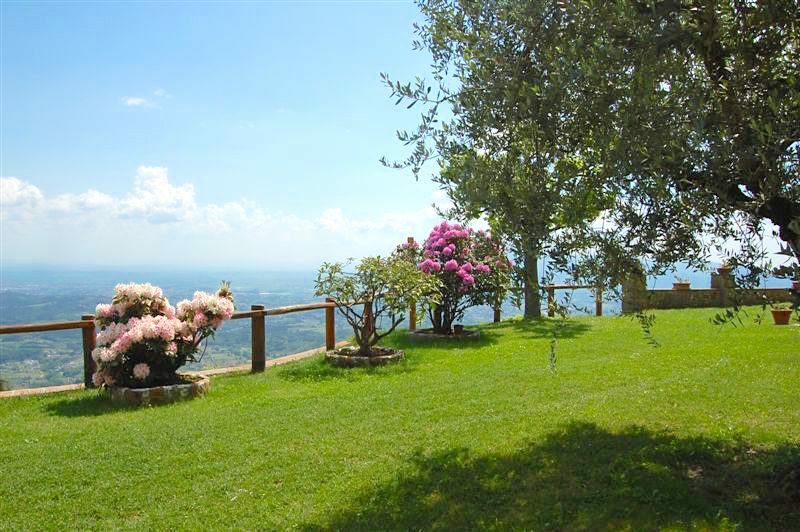 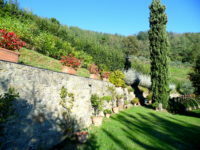 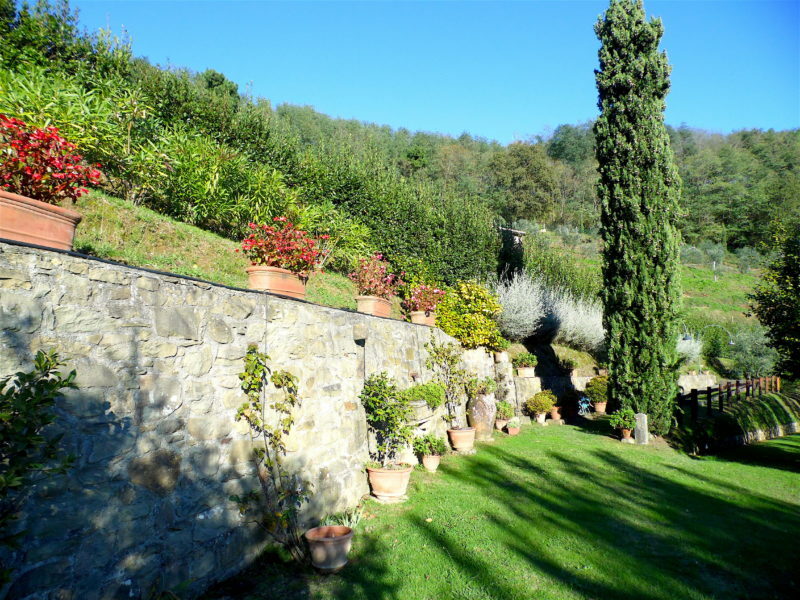 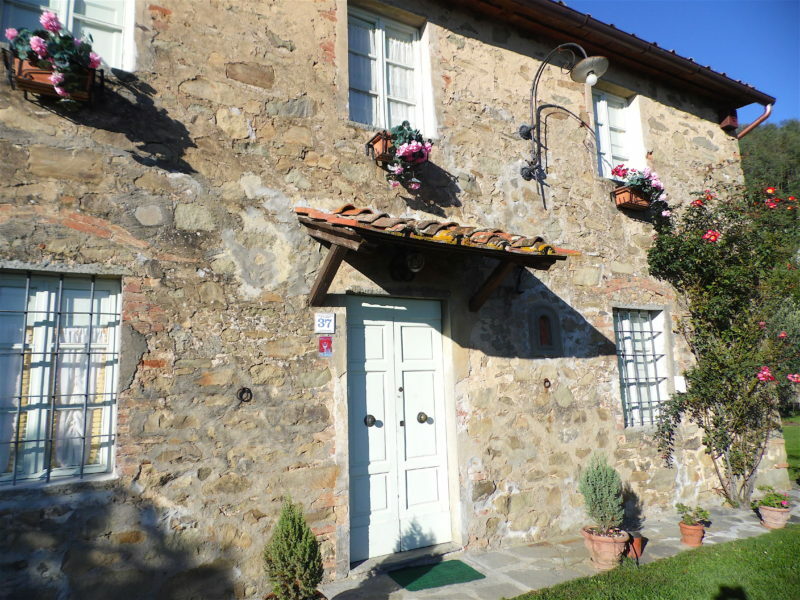 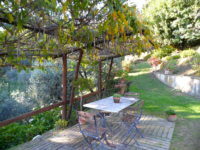 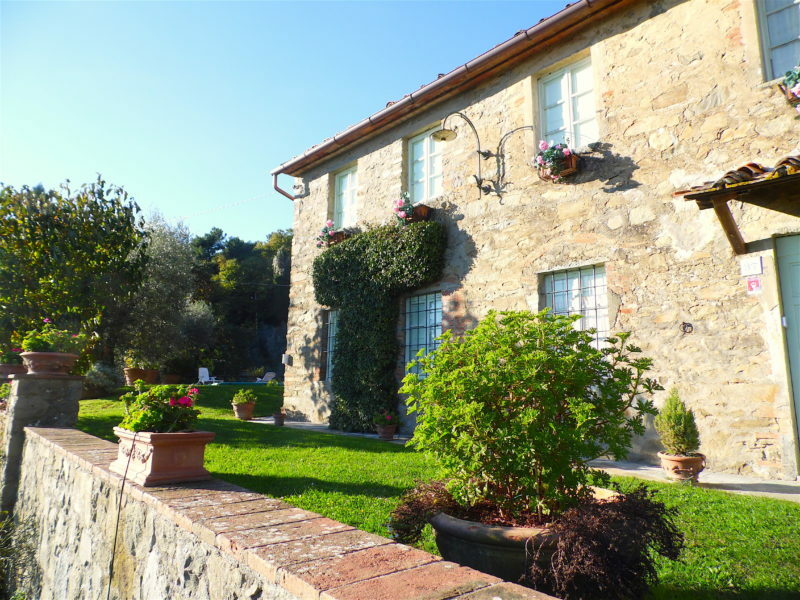 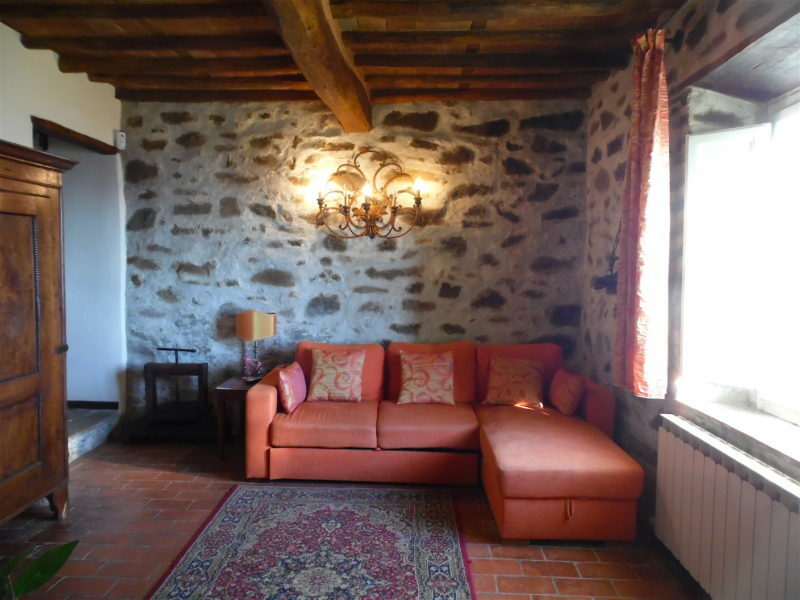 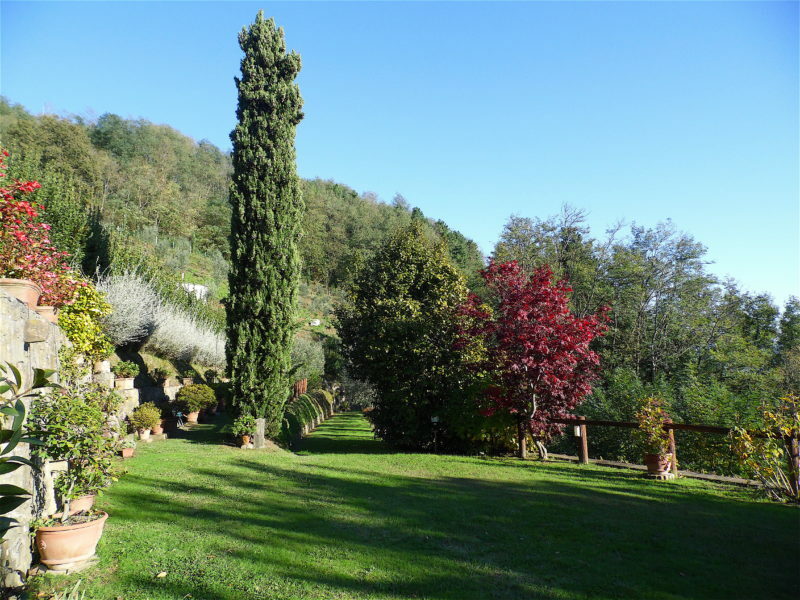 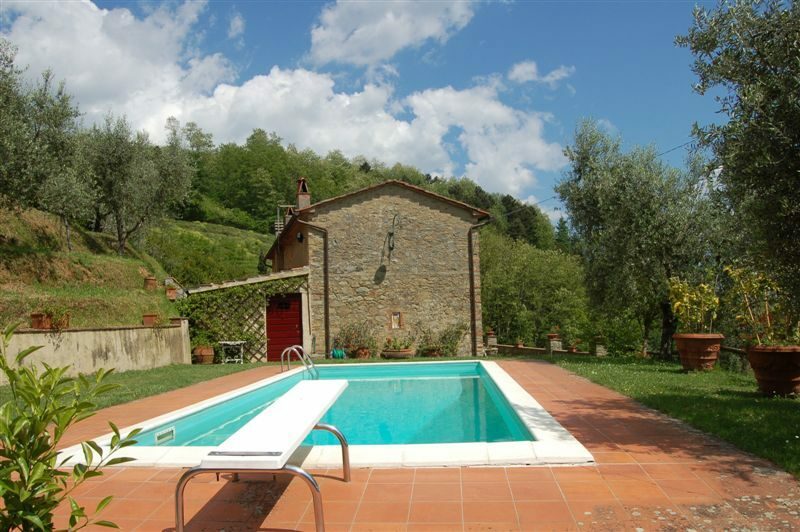 Villa Petrognano is a self standing farmhouse located in the village of Petrognano, 500m above sea level, and 15 km north est of Lucca along the “road of oil and wine” that runs from Matraia to S. Gennaro. 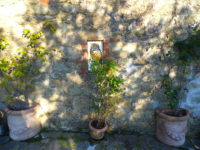 Southernly facing and surronded by a leafy mature garden, a 8 x 4m. 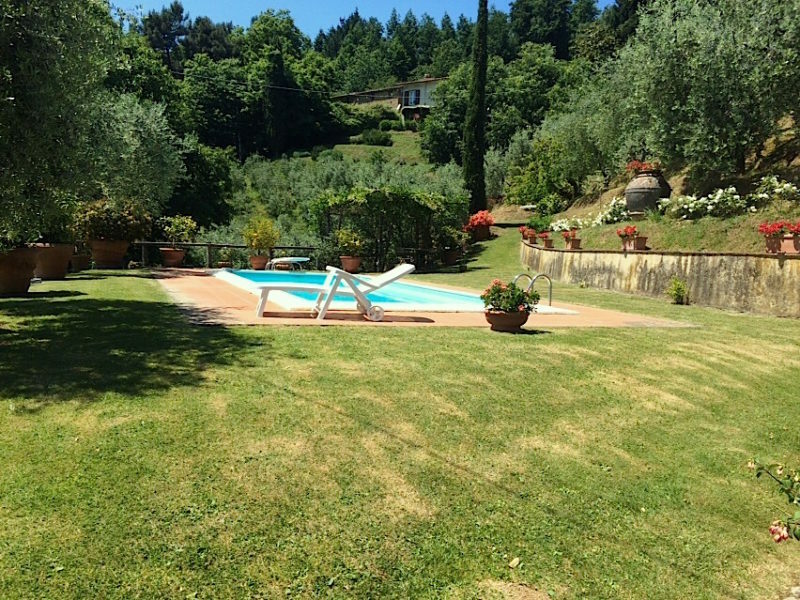 pool, olive groves and vineyards, this desiderable property has a magnificient view of the rolling hills fading into Lucca’s plane. 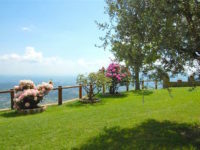 Looking toward the west, you can see the sunset dipping in the Mediterrean sea. 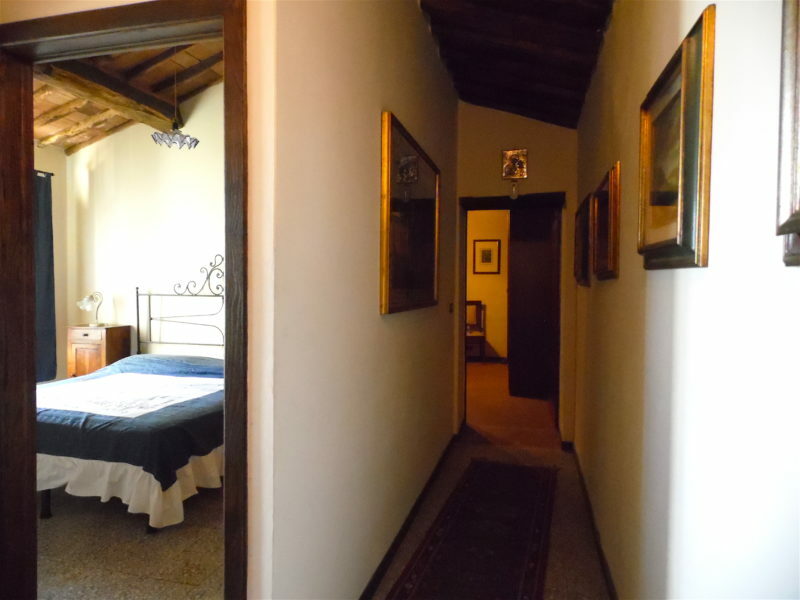 Villa Petrognano spreads over 2 levels, featuring the traditional terracotta floors and wood beams on the ceilings. 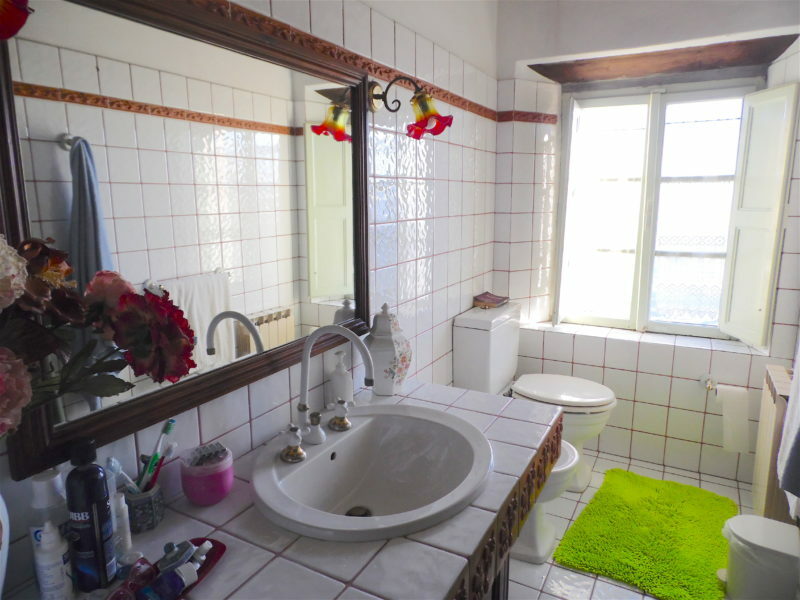 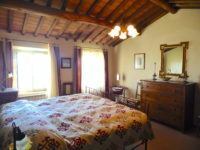 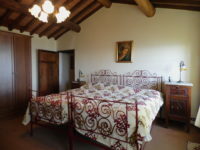 It features 3 generous double bedrooms, 2 bathrooms each one with shower and bidet, a livingroom with sofa bed for 2 and giant digital TV, separate country style kitchen and diningroom with fireplace. 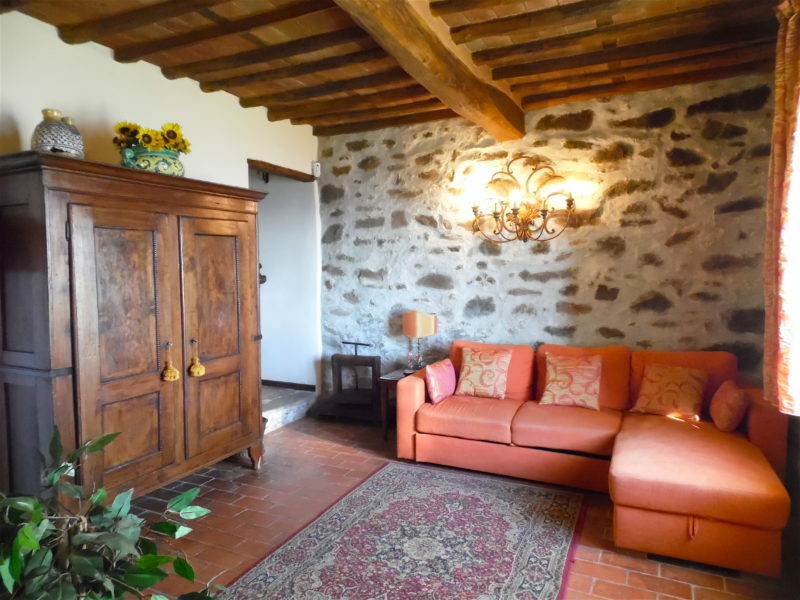 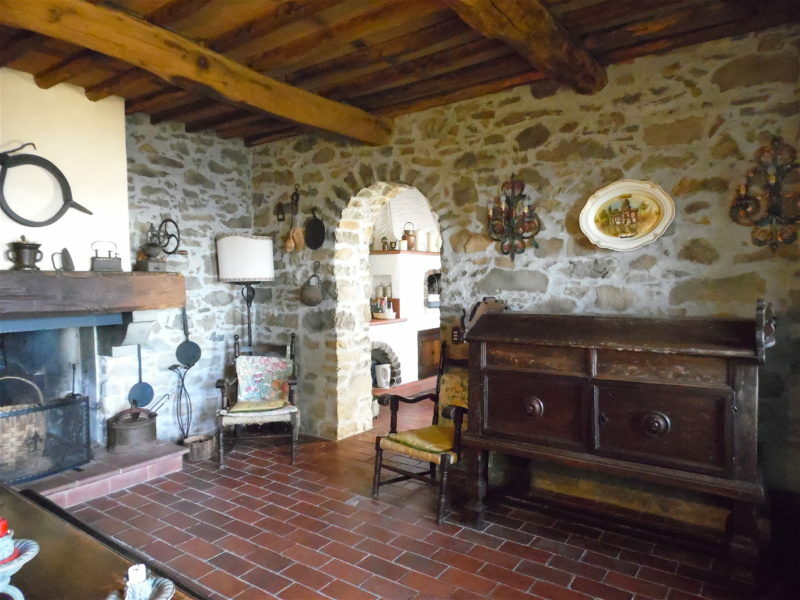 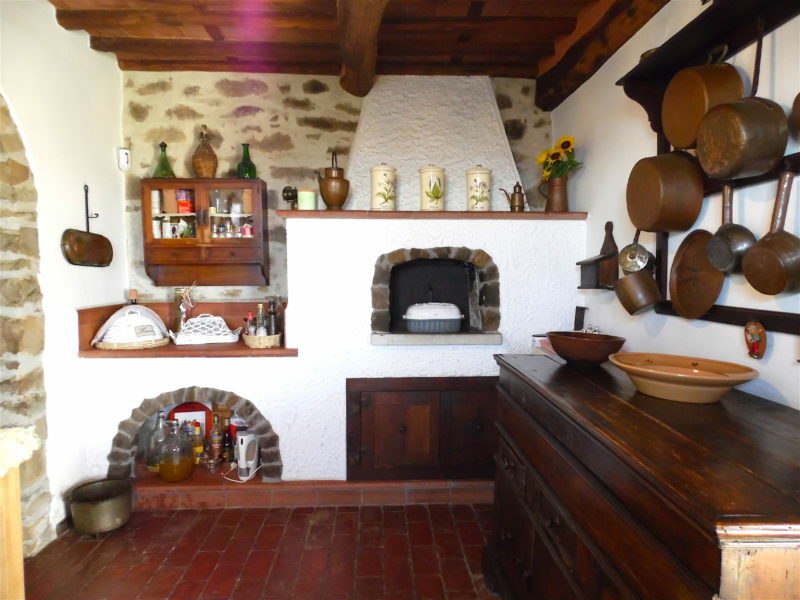 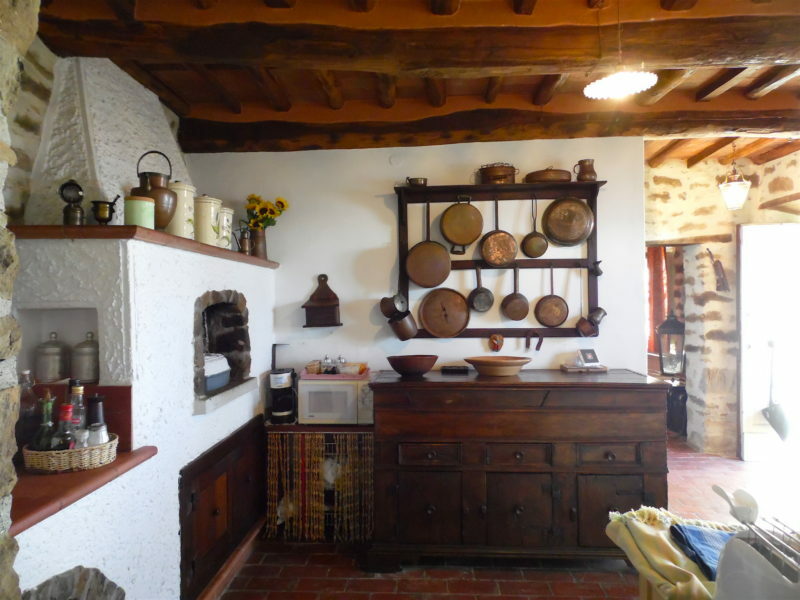 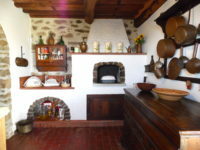 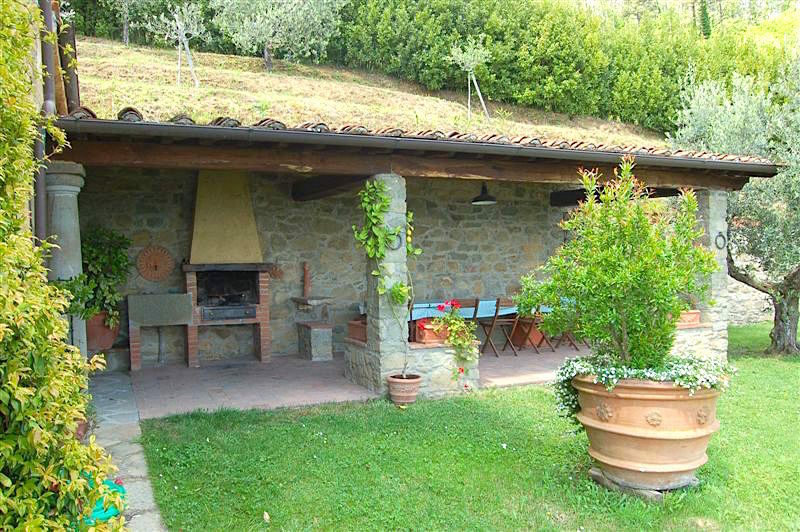 Attached to the farmhouse is the so called “limonaia”, a large porch where you store lemon plants during winter, now converted as an alfresco meal area with a build in barbeque, bread oven and a table seating up to 12 people. 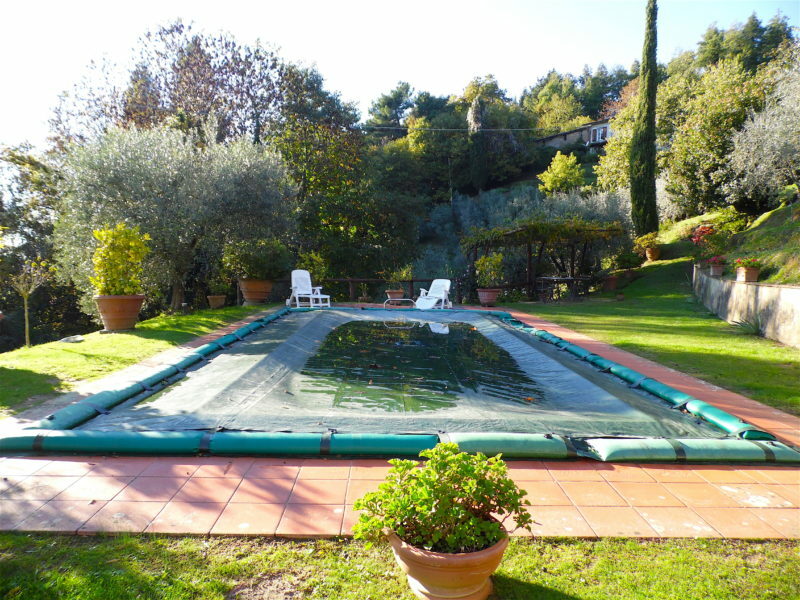 I started managing this villa only this early November 2016 when the pool was already closed. 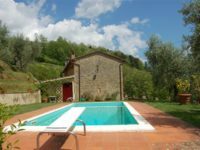 More photos of the pool will be taken when the pool will be re-opened at the start of the spring season 2017. 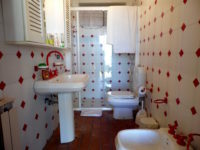 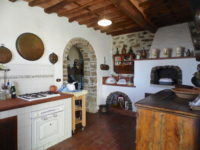 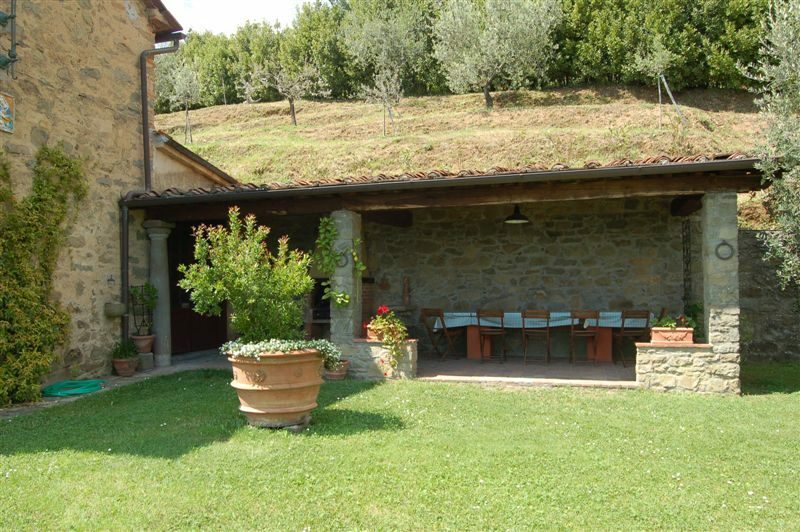 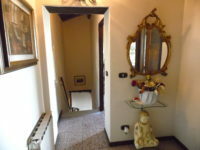 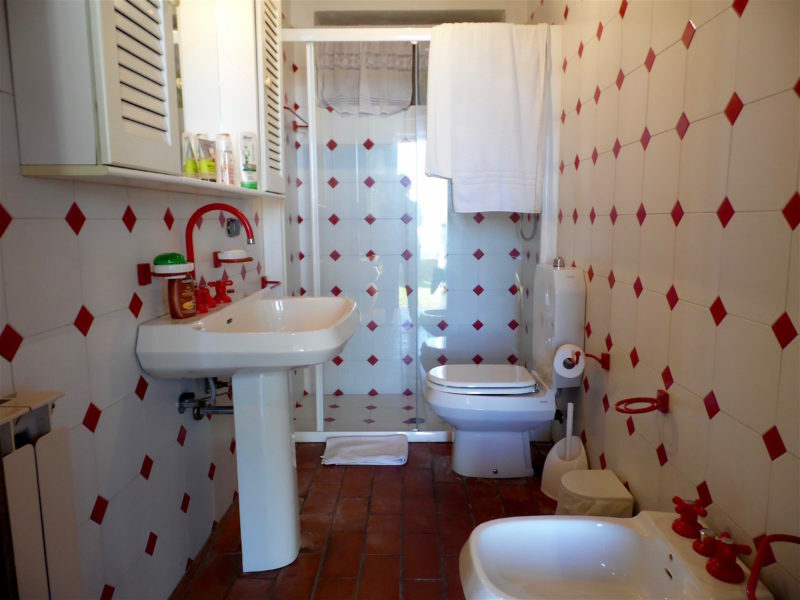 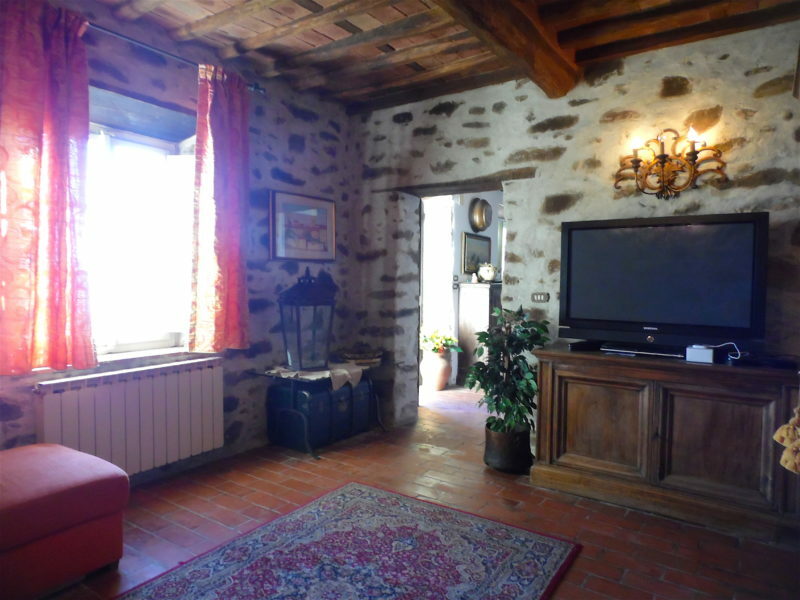 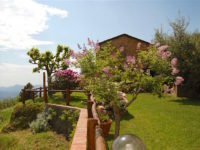 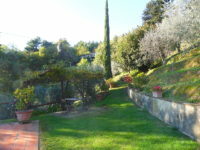 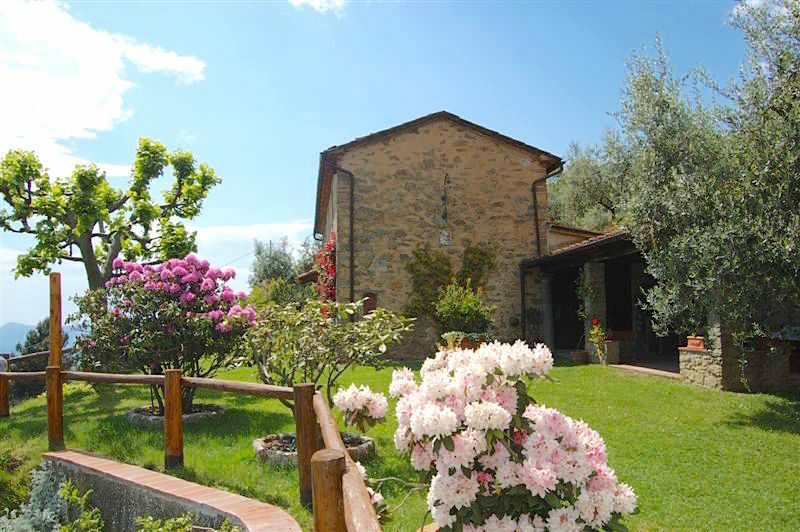 The nearest grocery shop and bar/trattoria are in the nearby village of S. Gennaro, 1.5 km from the property. You can eat the best Florentine steak in this trattoria, the only one in the village, at a very reasonable price. 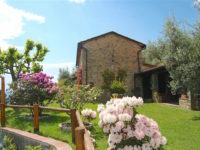 Other nearby villages such as Valgiano and Matraia located on the same hill side road, have country style restaurants and wine tasting cellars. 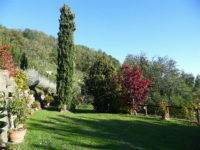 The nearest large supermarket is to be found in Zone, at about 6 km distance. 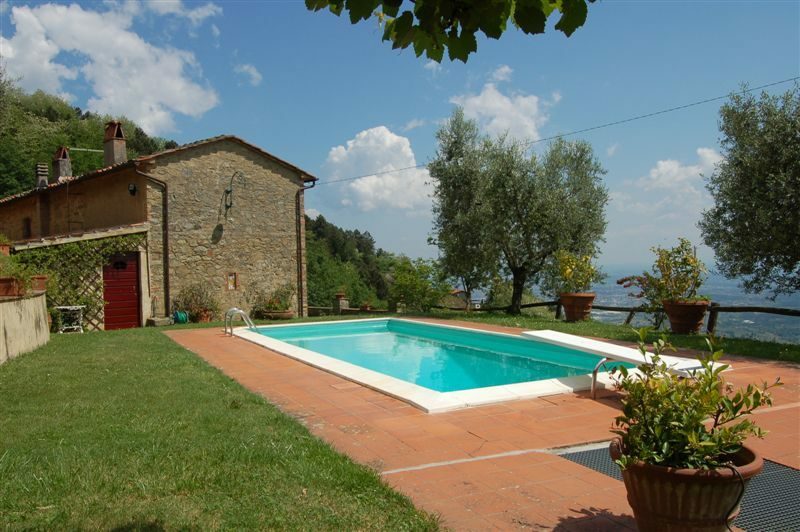 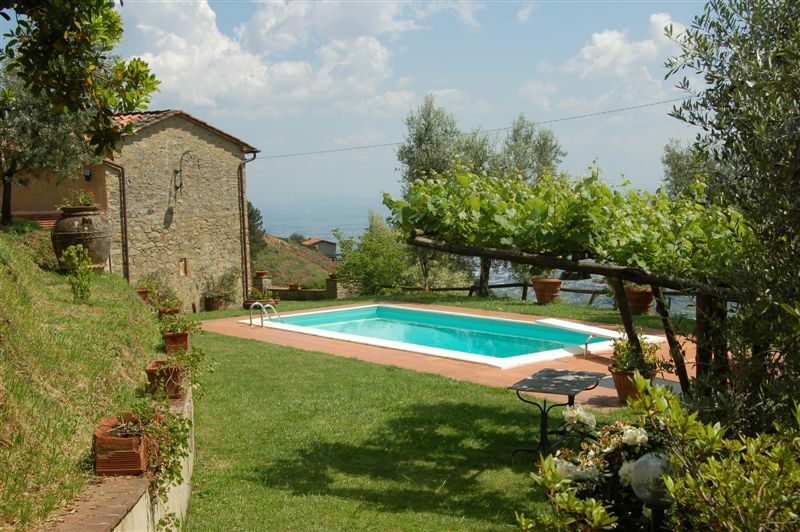 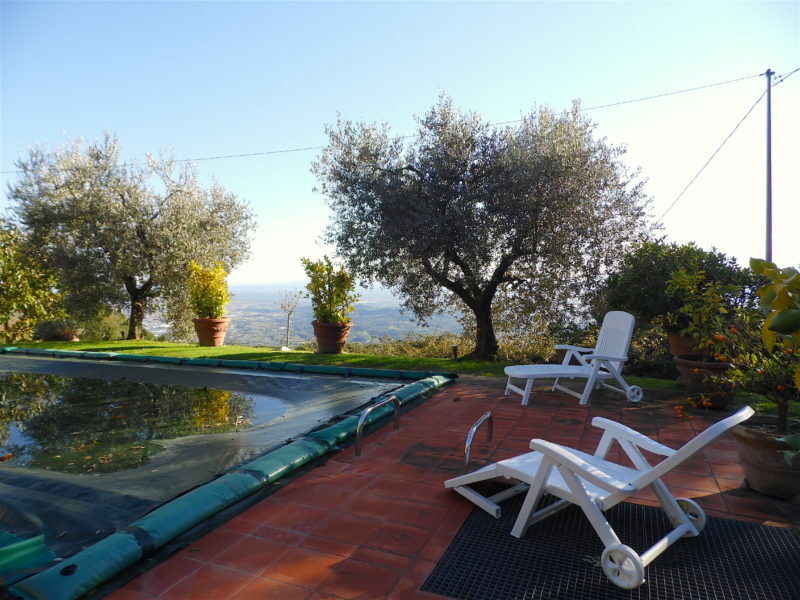 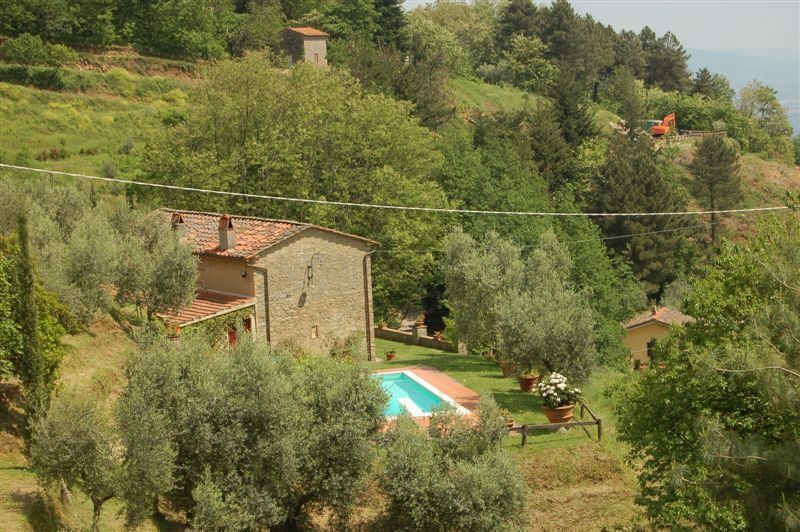 Villa Petrognano is a great holiday retreat for those in search of privacy and tranquillity. 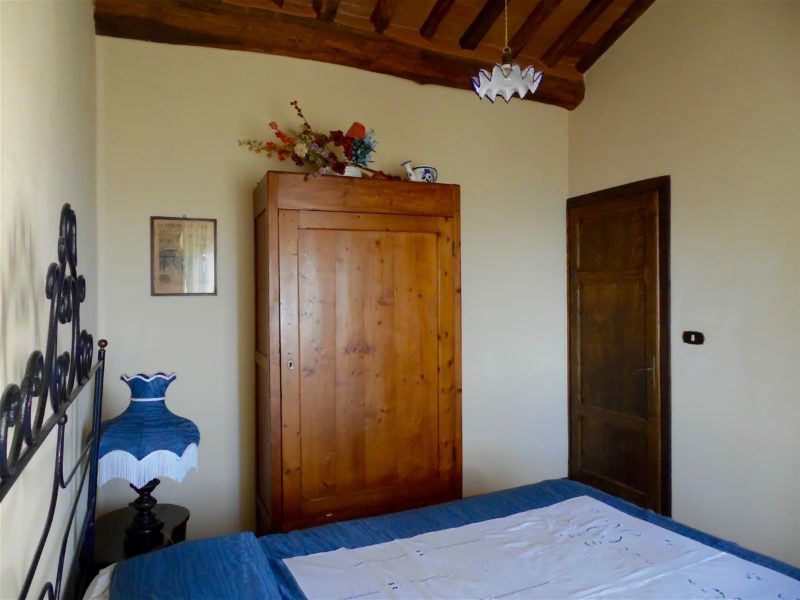 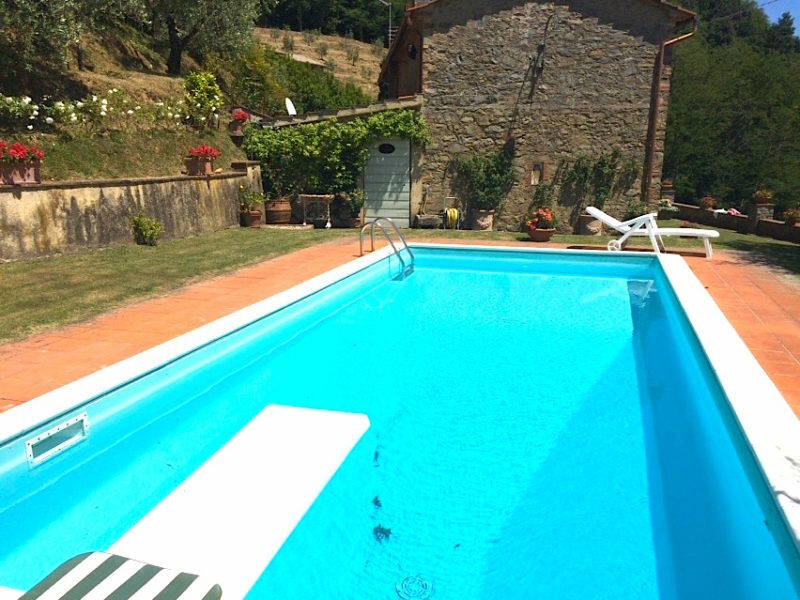 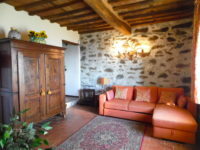 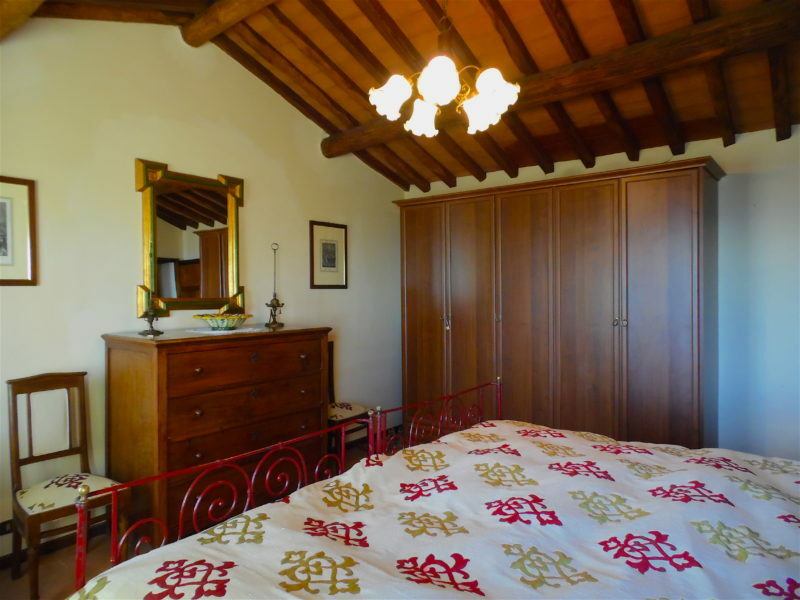 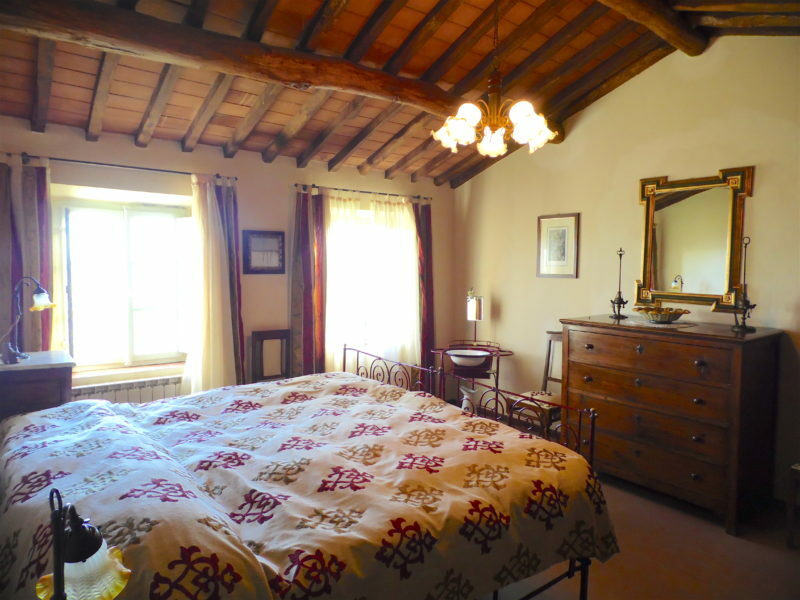 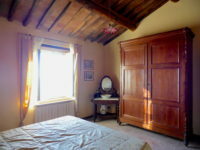 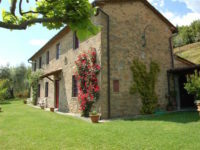 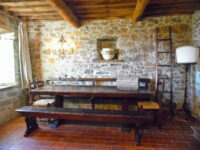 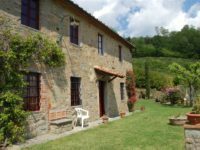 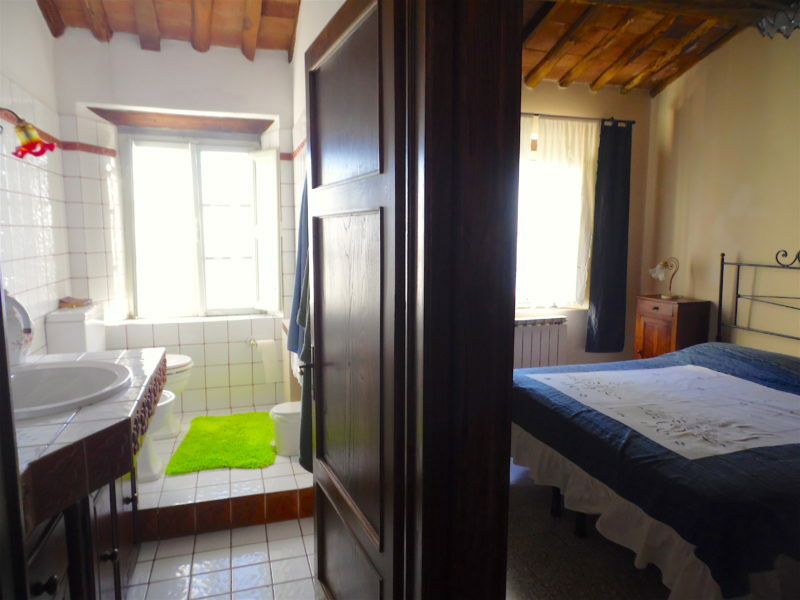 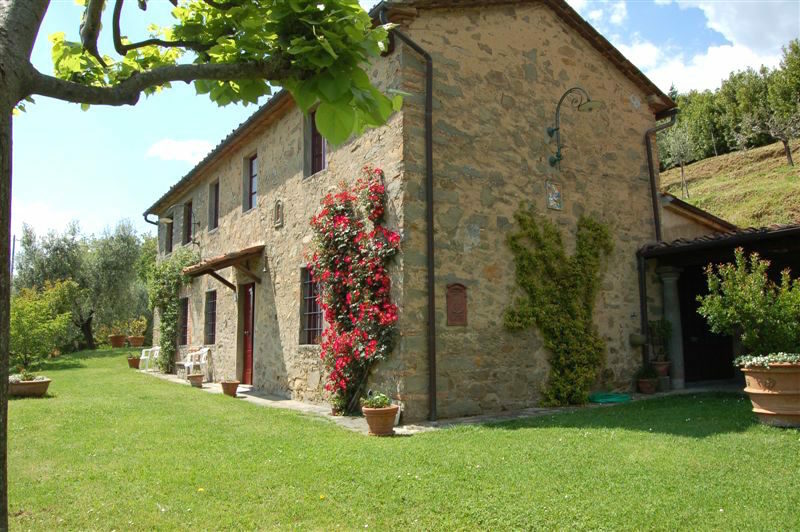 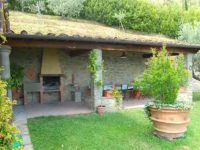 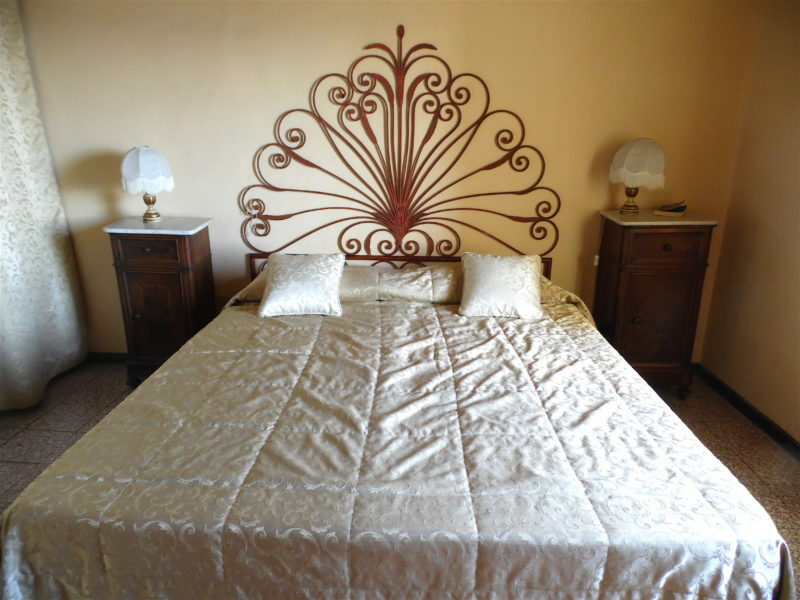 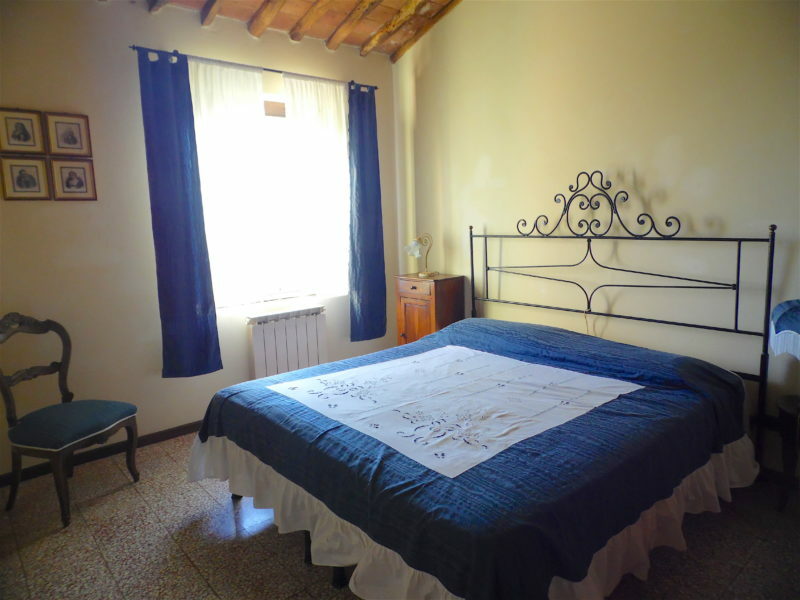 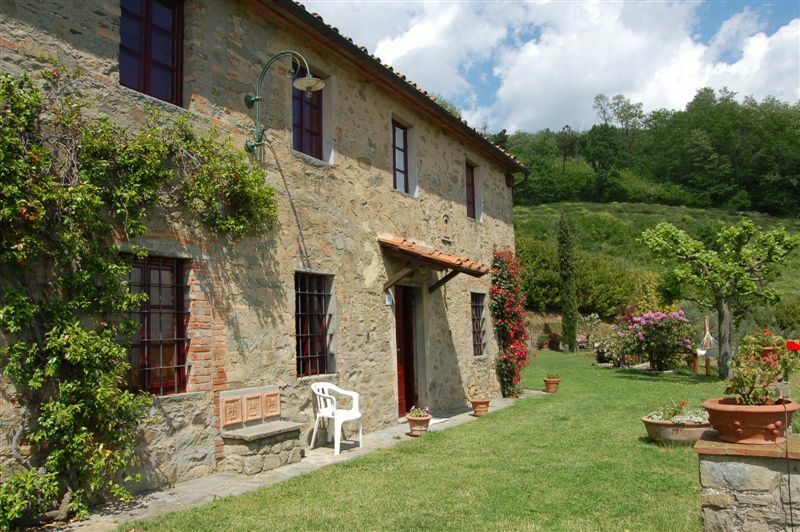 A perfect accommodation for large families and group of friends wanting to enjoy the typical Tuscan countryside. 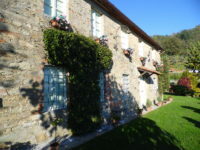 There are many options for day trips to the nearby historical towns of Lucca ( 15 km), Pisa (35 km), Florence (65 km), the free and natural beach of Marina di Vecchiano (30km) Viareggio, Forte Dei Marmi and the beloved artists’ marble sculture site of Pietrasanta (35km). 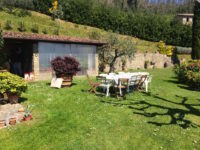 Further day trips include Barga, the jewel of the Garfagnana region, 25km north of Lucca, and the Apuan Alps a dream for anyone who enjoys trekking. 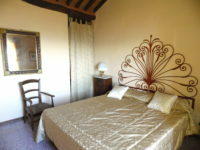 The above prices are including: change of linen and towels every Saturday, utilities, Wi-fi. 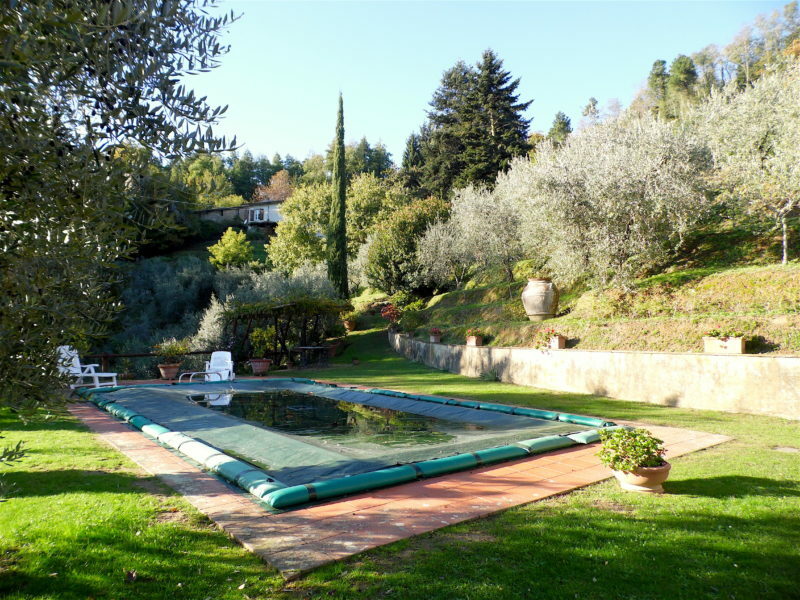 Private pool, garden and parking.